On Sunday a friend (who shall remain nameless on this blog per his request) and I met in Boulder at the South Mesa Trailhead and, over a period of 3 hours, reached the summits of two spectacularly beautiful, quite difficult and very technical 8,500-foot mountains—South Boulder Peak and Bear Peak. Looking down from South Boulder Peak. We reached the summit of South Boulder at about 9:15 a.m., an hour into our adventure. This was a 3,000-foot climb over about 3.5 miles—enough to really feel it. The top of South Boulder Peak was extremely rocky and technical, as were several sections of the trail leading to the summit. There were times I was really working hard and a few rocky sections where all we could do was walk. The views from the summit and the feeling of exhilaration made it all worth it. I made a point to look out and not down, as the drop was very steep. One must proceed carefully to the summit of South Boulder Peak or risk falling to their death. That is not an overstatement. 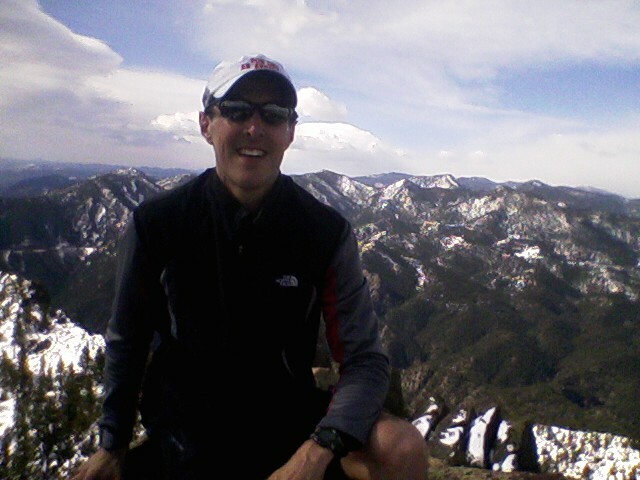 Sitting atop an 8,500-foot mountain after climbing 3,000 feet in 3.5 miles brings nothing but a smile. I think when I reach the summit of Pikes Peak I'll be smiling even more. After chilling for a few minutes at the summit of South Boulder Peak, we made our way along a ridgeline to Bear Peak, which is also about 8,500 feet. It was pretty easy getting to Bear Peak, but it was not easy reaching the summit. Again, we were confronted with huge rocks and a very technical final section. 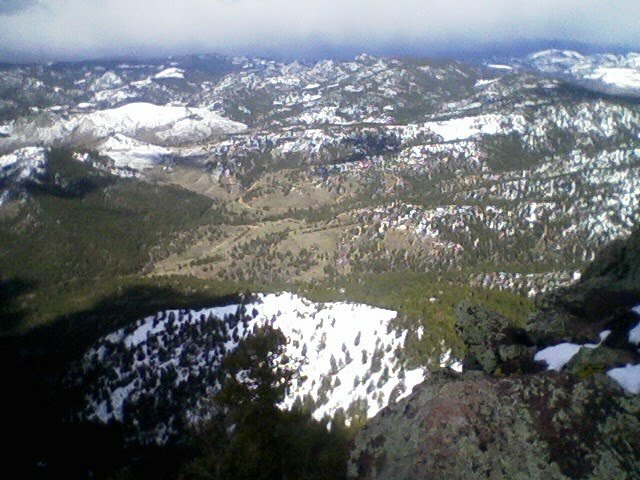 But the top of Bear Peak was just as amazing. Again, we had spectacular 360-degree views. We could see not only South Boulder Peak, but also nearby Green Mountain and far-off Denver. We could see for miles and miles. On the way down from Bear Peak my quads began to ache. They’re still a little sore. Through it all, I learned a valuable lesson. When summiting rocky peaks, it is best not to carry a handheld water bottle. A hydration backpack would be ideal so that your hands are free for navigating the big rocks and boulders. I love the mountains, particularly the mountains here. Right now I am obsessed with summiting Pikes Peak, and I will. It is not a question of if; it is a question of when. I’m told I should wait until June or July when the snowpack is more manageable to embark on this 25-26-mile adventure involving 7,400 feet of vertical. The key is reaching the top of Pikes Peak, which is over 14,100 feet, before early afternoon, when thunderstorms can roll in and bring plenty of danger. One hundred milers are very unique. Every race of 100 miles or more I’ve done has been unique. 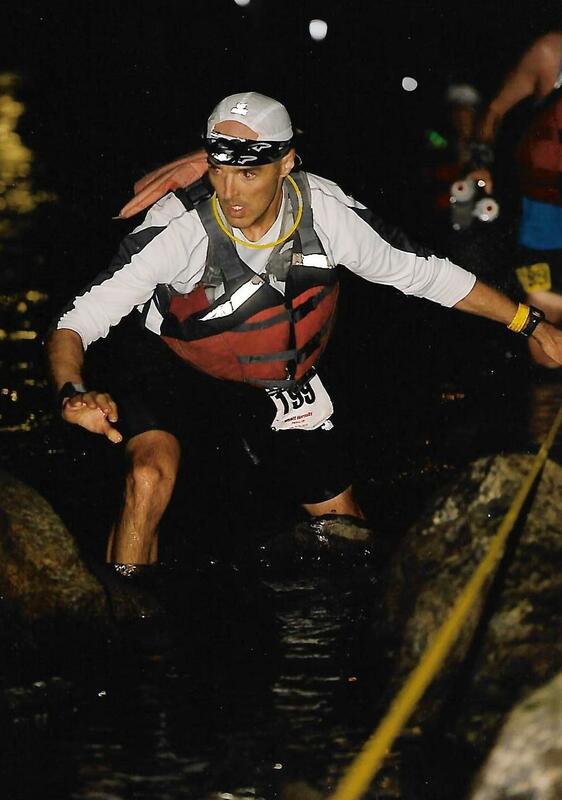 I think Leadville will probably be a lot like the 2007 Burning River 100. With elevations of 9,200-12,600 feet, Leadville is going to be a whole new experience and open my eyes to something I’ve never seen before. But enough with the tallk. It's time to get it on with training. This Saturday I have the Greenland Trail 50K. It has maximum elevations of about 7,300 feet. I have no expectations amd am just going to do my best. This early in the season and after a cross-country move that really disrupted my training, it's hard to say what's going to happen. 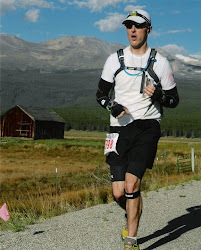 On Friday, not long after my blog post, I registered for the Leadville Trail 100-Mile. Lots of training to do between now and Aug. 21 when the gun goes off at 4 a.m. It's going to be an amazing experience. 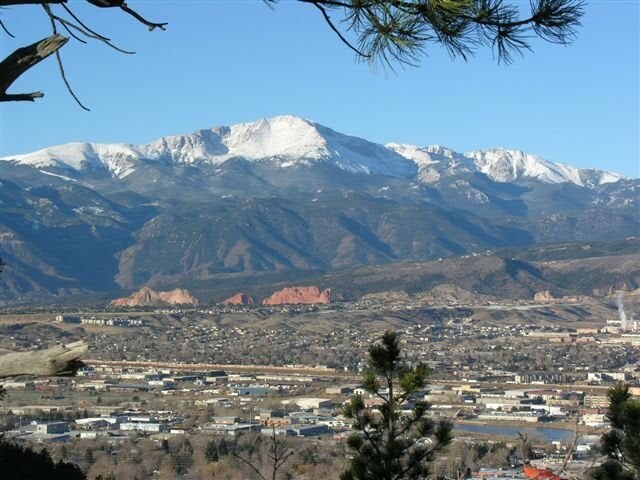 As you can see, Pikes Peak is a stunningly beautiful mountain. Anyway, on Sunday we all drove down to Maintou Springs and, after paying our $20, proceeded up the mountain. The road up is 19 miles long and, unfortunately, we were only able to complete 15 miles due to road closure from heavy snow at the summit. 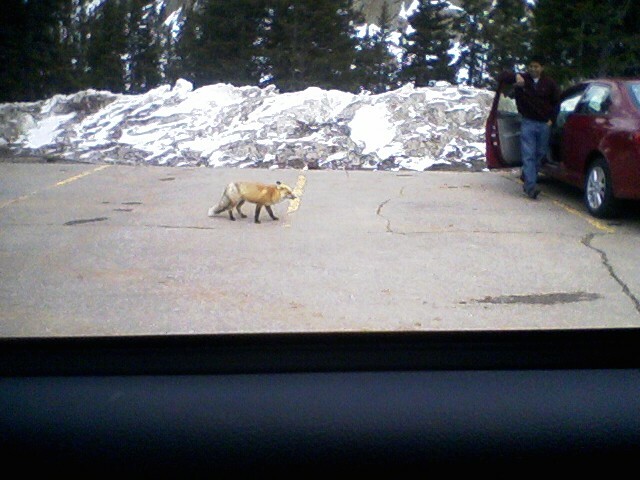 This put us well over 12,000 feet up. I can safely say I've never driven a more beautiful stretch of road. Having driven more than 3/4 of the way up Pikes Peak, I am now inspired to summit the mountain on foot via the Barr Trail. The Barr Trail is used for the famous Pikes Peak Marathon and Ascent, climbing 7,300 feet over a distance of 12.6 miles. About halfway up (10,000 feet) is Barr Camp, where runners and hikers can use the facilities, get some food and drink and even stay the night. From what I've heard, the key to summiting Pikes Peak is to start at about dawn so that you summit in early afternoon--before the weather turns nasty (a distinct possible much of the time). I think to truly experience Pikes Peak I'm going to need to run back down and do the full 25+ miles in one go. It promises to be an incredible experience. I will be sure to have my camera (along with a good day pack, lots of food and drink and other essentials)! I'm starting to get an itch for ratcheting up my training and going for new goals. Next Saturday (May 1), I run in the Greenland Trail 50K, which isn't far from Colorado Springs. The course consists of multiple loops and has a maximum elevation of 7,400 feet. It's described as "fast." We'll see about that. I'm going to taper for a week and try to go for a "good" time, whatever that may be. This will be my first race of 2010 and so my expectations are pretty fluid. Without getting too ahead of myself, I'm thinking about which 100-miler I'm going to enter this year. In my mind, there are two good options that I'm carefully weighing--the Burning River 100 in Northeast Ohio on July 31-Aug. 1 (my first 100 in 2007) and the Leadville Trail 100 in the Colorado Rocky Mountains on Aug. 21-22. The two races couldn't be more different. The BR100 is a point-to-point race run at sea level with modest hills and the potential for high heat and humidity. It's serving as this year's USATF 100-mile national championship. The Leadville 100 is an out-and-back race run between 9,200-12,600 feet literally in the mountains with very erratic weather. You climb Hope Pass (12,600 feet) twice. I'm sure the views along the course are spectacular. For a variety of reasons, I'm leaning toward Leadville even as the prospect of a "homecoming" in Cleveland is very heart-warming. Now that we're here in Denver, I may as well take advantage of the mountains and experience one of the most famous 100-milers in the nation--even if it means a time of 24+ hours and having to do the 100 miles solo (though a Leadville race official told me if you want a pacer you'll get one). I'll report back on my decision. I could register for Leadville as early as today. Regardless of which race I do, over the next few months I'll be logging 80-110 miles per week. I did 81 last week and am set to get to 90 this week. Such high mileage is going to be a huge challenge given the demands of a new job, but I'm simply going to have to find creative ways to get in the miles. Eighty miles a week is pretty "turn key" and standard for me. Getting beyond that requires some creative scheduling. At times, especially past the one-hour point, it is in fact like breathing through a straw. You simply can't get enough oxygen and so you're breathing hard to try to make up the O2 deficit. If you're really high up and working hard, good luck catching your breath. A few days ago I was talking with a friend here about our plans to summit Quandary Peak (elevation 14,271) at some point on Memorial Day weekend. Anyway, he said that once past the 13,000-foot point he really struggles. My response was, "Well, once we get past 13,000 feet we'll just need to try to catch our breath so we'll have enough in the tank to stay strong." Um, I think it's kind of hard to catch your breath at 13,000 feet. The key, it seems, is to pace yourself and try to avoid an O2 deficit as much as humanly possible. The effects of elevation are minimal at the start and really manifest themselves past the one-hour point. If I'm on a run of 2-3 hours, I'm usually in pretty good shape the first hour. It's in the second hour that things get dicey, especially on the hills. Fortunately, I'm seeing improvement in how long I can stay strong and ahead of my oxygen needs, but it's still a process that's going to take time. Adjust expectations. Back in Ohio, my tempo run pace was about 6:10-6:25 per mile. Out here, running at 6,000+ feet on a day-to-day basis, I've seen my tempo pace fall to about 6:40. I'm sure it'll get better with time. I haven't even stepped foot on a track for intervals since we got here, but in time I will and hopefully I can get in some high-quality 800s, 1200s, and milers. Maybe 5:35 milers will eventually be possible again. Stay hydrated at all times. There's something very dehydrating about the air here. Maybe it's the fact that our air is bone dry. According to this article in Running Times, the better shape you're in the harder it's going to be to go from sea level to elevation. Why? A well-conditioneed athlete uses blood oxygen very efficiently and simply doesn't need as much O2 as a less well-conditioned athlete. But when that well-conditioned athlete goes to elevation, there's a shortage of blood oxygen due to that sea level efficiency, and so it just takes time for the adjustmeent to happen. I'm pretty sure that's where I am now. I'll report back on my Leadville/Burning River 100 decision. Now working on two weeks of life in Colorado, it is high time (pun intended) that I chime in with an update on our new life in the Rocky Mountain State. Pike's Peak is visible from where we live in Parker. It's visible from almost anyway. All is well. Anne and I have both started our new jobs--me at the Colorado Neurological Institute as development officer and director of marketing & communications, and Anne at a veterinary referral practice in Parker--and everything is fantastic. Noah is transitioning far better than expected. Going into the move, I was most concerned about how the relocation would affect Noah. I can’t describe the turmoil and pain I felt when thinking about how this move might affect him. But he’s been a trooper and, by all accounts, seems to have settled in quite well. Now, as far as running, I don’t even know where to begin. I’ll start with what’s most important. Whether I’m in the hills of Parker (where we’re currently renting an apartment until we buy a house), running along the rocky, canyon trails of Castlewood Canyon State Park, taking baby steps in acclimating at Roxborough State Park, or taking in a beautiful view of Pike’s Peak to the South or the great mountains to the West, I am simply in awe of my natural surroundings. I can walk outside now and see Pike's Peak. I don’t think I’ll ever take the mountains or these big, blue skies for granted. They are entirely too beautiful to ever take for granted. Sometimes I just can’t believe we’re here—in this magnificent playground for skiers, campers, trail runners, white-water rafting fans, mountaineers, hikers, etc. 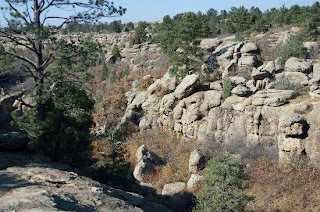 Castlewood Canyon is one of the coolest places I've ever run. I later found out it's infested with rattlesnakes. A little danger is a good thing, though. We’re living at about 6,000 feet of elevation—enough for a flatlander to feel. If I’m running the hills of Parker, I can get up to 6,500 feet and, so far, the highest I’ve gone is 7,300 feet at Roxborough State Park, where I’ve really enjoyed the rather modest but really neat Carpenter’s Peak ascent. I want to very soon go above 8,000 feet and take a few runs north of 10,000 feet well before I plan to line up at the legendary Leadville Trail 100 on August 21. First things first; I have the Greenland Trail 50K on May 1! Acclimating has been a challenge, to say the least. Plus, this air is really dry, which had me drinking water like crazy the first few days. The first Saturday we were here, I went on a 17.5-miler in the Parker hills and, by mile 11, was experiencing terrible stomach cramps soon followed by GI distress and fatigue. Then I ran out of water. 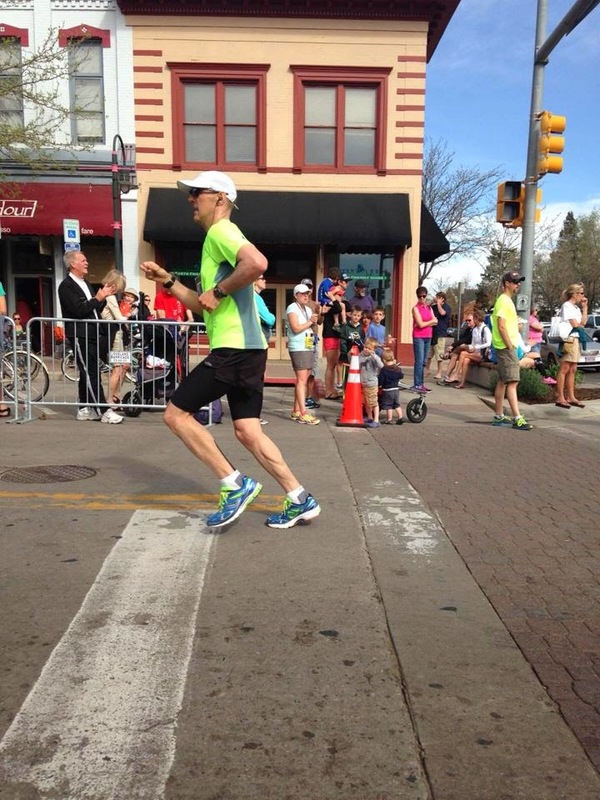 Ordinarily, 17.5 miles is pretty easy—but not last Saturday. The same happened the next day after running 12 miles with the Denver Trail Runners at North Table Mesa, a beautiful, flat-top mountain in Golden, Colorado. I’ve been told the cramps and what followed were surely a sign of mild altitude sickness. I’ve also felt general nausea on many of my runs and sometimes experience light-headedness. A few days ago I ran for well over two hours at Roxborough State Park and generally felt good—a promising sign of acclimation. The key is to stay hydrated. I’m investing in a nice hydration backpack that will come in handy during long runs. I believe that in time my body will adjust and I’ll start to feel good again. Until then, I am intent on battling it out with careful attention to how I’m feeling. In a few weeks, when I'm ready, I'm going to Colorado Springs to run with the famous Incline Club. I spoke with a childhood friend of mine who lives in Castle Rock—not far from Parker—and we’re planning to summit one of the 14,000 footers maybe later this summer or in early fall. Although I’m in great shape, I have a long way to go in preparing myself for such altitude. I have lots of red blood cells to create. Anyway, this has all been humbling as I’ve always been proud of my strength on hills. But these aren’t just hills. I keep telling myself to stay patient and bear in mind that acclimation will come with time. Rome wasn’t built overnight.